Beginning in January of 2017, a group of concerned citizens met to discuss substance abuse problems in the Arena, Black Earth, Cross Plains and Mazomanie communities. As a result of those meetings, the Northwest Dane Cares Coalition was born. The NWDCC is committed to raising public awareness of the risks and consequences of underage drinking and drug abuse, as well as educating the community about current and emerging drug trends, partnering with school districts, building liaisons with decision-makers, parents, the medical and faith communities, and law enforcement. Increase awareness of the dangers of youth alcohol and drug use. Decrease access to tobacco, alcohol, and other drugs. Increase the number of positive programs for youth and families. Increase programs aimed at strengthening families and neighborhoods. Increase parents’ awareness of alcohol-related laws. Improve connections to community, school, friends and family. The Northwest Dane Cares Coalition ask you to give the gift of time! Make a difference in the lives of our youth. Work with us to provide support for planning, project management and awareness campaigns. Help with Coalition events, conferences, workshops and fairs held throughout the year. 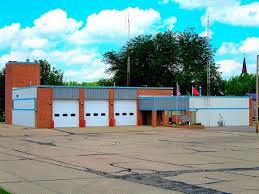 Meetings are held on the 2th Thursday of each month at 4:45 pm at the Mazomanie Fire Department. You are an essential part of our community. Your opinion matters! Copyright 2017 Northwest Dane Cares Coalition. All rights reserved.